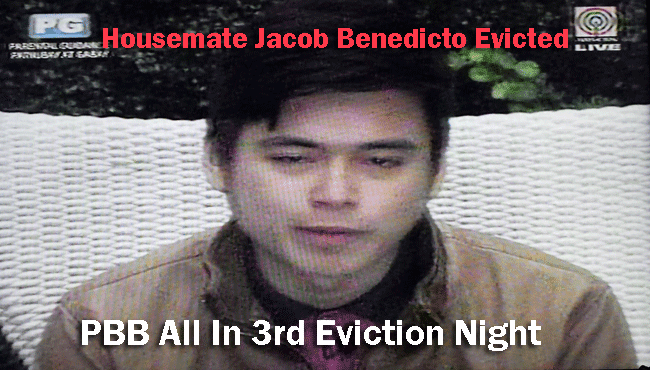 Manila, Philippines - PBB housemate Jacob Benedicts Evicted out in PBB ALL IN Edition 3rd Eviction Night. He is dubbed as the "Cutie Crooner ng Paranaque" during 3rd eviction night from the Pinoy Big Brother (PBB All In) house on Saturday May 31, 2014. Jacob was nominated together with Maris and Jane as a result of the casting of votes is either 2 points or 1 point. 2 points for the most deserving housemate to be nominated and 1 point for the 2nd most deserving according to their preferences brought about by their observation and experiences. Maris were at first declared safe from eviction while Jane and Jacob were left hanging till Toni Gonzaga confirmed that it had been Jacob who is that the latest evictee of PBB ALL In in 3rd eviction night. 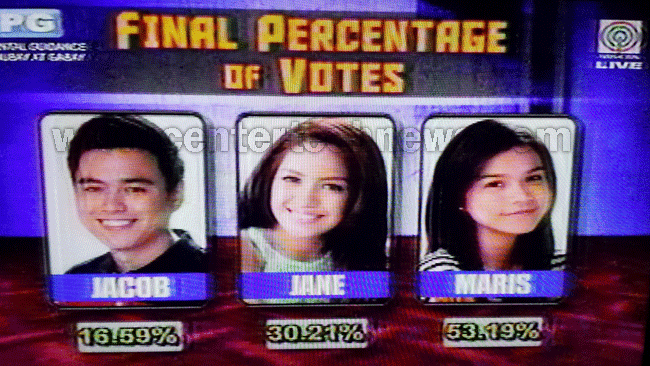 Meantime the whole breakdown of percentage of votes; Maris got 53.19%, Jane got 30.21% and 16.59% to Jacob.